D-Arts should be in charge of making toys for every franchise out there. <3 Beautiful looking and great quality figures! Wow i was about to buy it till there cheapest shipping is 10 bucks. I'll hold off till amazon but thanks for the update! Yeah, I made the mistake of ordering the D-Arts "classic" Rockman from Amazon through a Japanese retailer; a few weeks later it was available domestically for half the price I paid, and with free 2-day shipping for Amazon Prime members (which I am). I think these figures are selling well enough domestically that D-Arts will be making them more easily available, and without the need for importing and paying a ridiculous amount for shipping. I already have X and Mega Man, I need more diversity. Thankfully Sigma is comming soon. I get the feeling this will be pretty limited in run. So, maybe I overpaid, but it's mine for sure. And, I don't have a future pre-order weighing on my mind. I guess it really doesn't matter whether this is the English or Japanese release to me - looks the same any way you slice it. 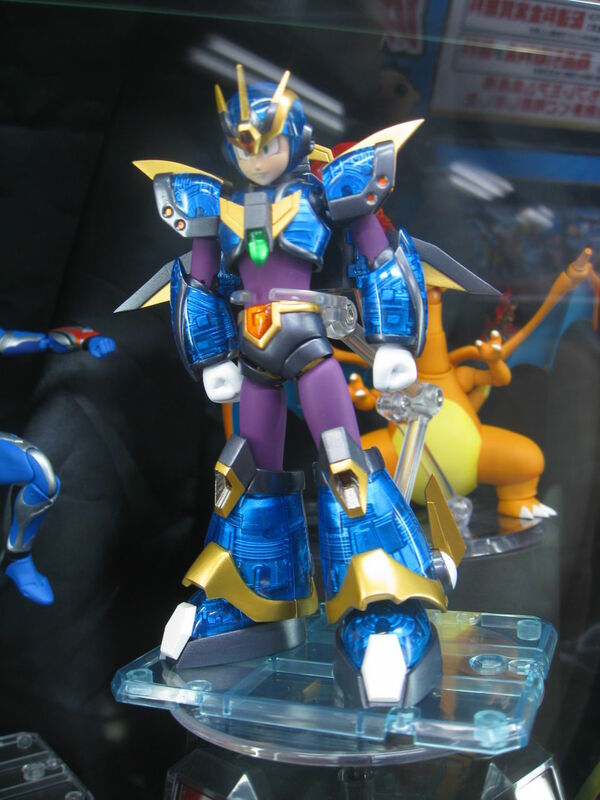 I definitely wanted the English X, though, for that translated box with MMX1's note from Dr. Light. Good stuff. Wow Pokemon really does have to shove its rear-ended-head into every Japanese related medium ever, getting sick of its face. Anyhoo just ordered, my budget is expendable enough to allow shipping for this great work of art. Yeah, it's pretty atrocious, especially considering it's just coming from California. I shipped a box of 1000 cards to Nebraska from Texas recently, and the Priority and Express charge were about the same rate of about $13, and that was a fairly hefty box (2.5 pounds, iirc). Maybe the $9.95 is to cover the shipping cost to, say, an order from Maine or New York. Honestly, that should be estimated out rather than just gouge everyone. My wallet is ready. I'm super psyched for this. Though admittedly, I'd buy any/all of Mega Man X's armor sets, he's my favorite character. I'd love to see the Third/Hyper Armor. My shipping was 37 dollars. A total of 70 dollars. So i'll wait. Also, I live in america, so I am not sure why shipping was 37 dollars. GGInfinite? They default to fast, overnight or two-day shippings which are expensive, so you might change the order if that's the case.